Day was pretty low-key. Went to the store then the park. Just wanted to put down that while Naim, Nik and Avery shopped with a store employee, Aaron and I did all kinds of comparison shopping for business items like lemons, watermelon, cups, etc. We weighted produce and compared price per pound, as well as cups per cup. I am getting better and better and math unschooling. 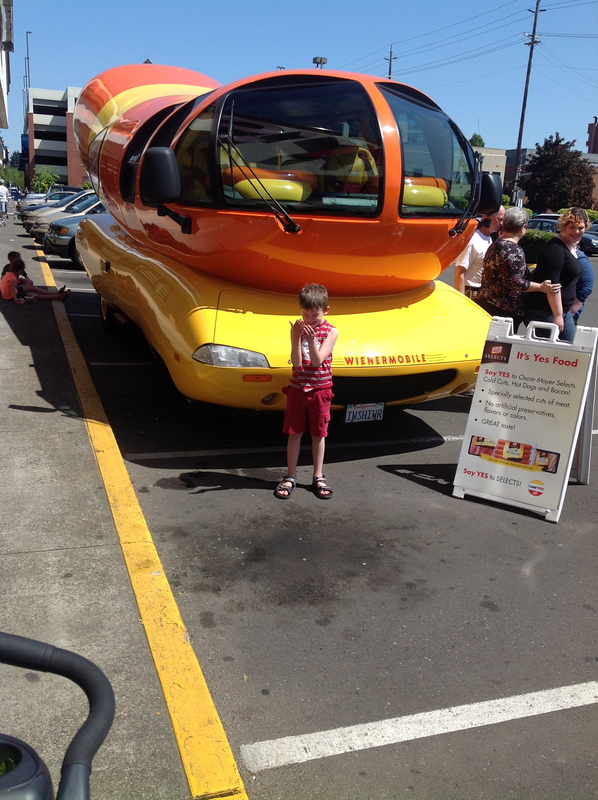 Also saw Oscar Mayer Weinermobile when it pulled up outside the store. All of the sudden, Aaron goes, “Mom! There is a giant hotdog outside!” At first I thought he meant someone dressed as a hot dog, but then I looked out the window and a hotdog took up the whole window. Kind of funny, because I have seen that thing in commercials, I guess I didn’t really know it existed. (Actually, 3 of them do.) Nik, of course, got the driver’s whole life story and found out he was a grad student in marketing who drives the weinermobile on the weekends. They laughed at putting that down on your resume. Got a couple of pictures, but the sun was shining right in their eyes so they were complaining about it. I liked the hotdog dashboard. 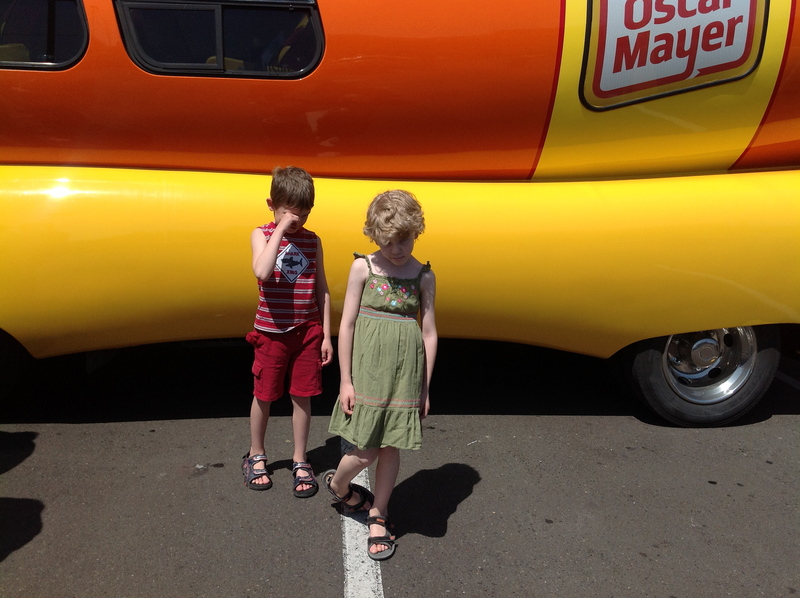 Naim was hot and didn’t care about a gigantic hot dog. Oh, and he is on a dress kick again. I think mostly just because they are comfortable in the summer.